I'm not sure what the correct term is, but it's a common cartographic design pattern. I want to show the outline of built-up areas as a filled polygon beneath road and buildings layers. In OpenStreetMap, such areas are sometimes available as landuse=residential. I suspect these will all have been traced manually. 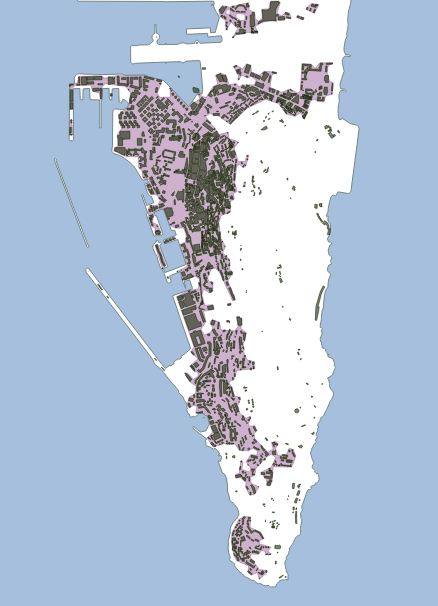 Is there a tool available in QGIS (or other FOSS GIS tools) to generate these automatically from a set of buildings? I tried the Concave hull plugin but only got a single area. I was able to get some quite good results, with thanks to Michael Stimson for the suggestion. I had forgotten about the "buffer out, buffer back in" trick (this can also help reduce the number of holes that need to be fixed). This involves a positive buffer (which tends to fill in gaps and holes) followed by a negative buffer (to shrink back to near original size). The values might need to be tweaked according to the overall density of housing. Gibraltar is quite densely populated, values might need to go up elsewhere. Finally to get the look I was after, used Geometry simplify, 20m tolerance. Not the answer you're looking for? Browse other questions tagged qgis cartography clustering or ask your own question. Determining centroid of clusters of points in QGIS? how to make clusters from small polygons with constraint of boundary touching? 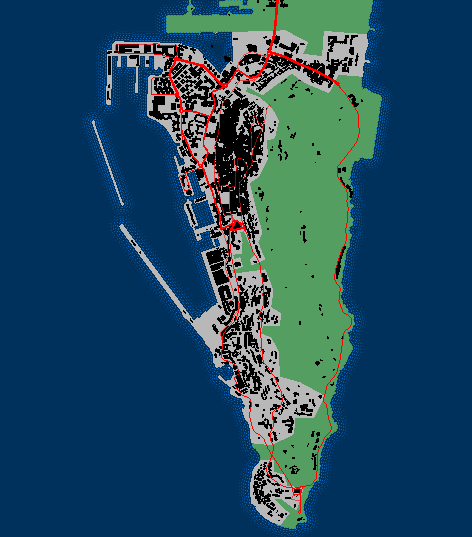 Automatically creating polygon/lines vector from WMTS Raster Building Footprint using QGIS?